Spiritual practices are like metaphysical Power Tools. They raise your awareness of the Divine within and around you. Life is a spiritual practice. Sooner or later, it will enlighten everyone. But "later" can mean aeons. So spiritual seekers employ specific practices, to connect with Divinity much more efficiently. These are the tools used to prepare your sacred chalice for channeling Divine Energies. As Wiccans, we don't leave our personal evolution to chance. We take responsibility for our spiritual journey. We consciously create our spiritual foundation using time-tested personal development exercises: our Spiritual Power Tool kit. These spiritual power tools make the difference between building a house with a handsaw and hammer, and plugging in a table saw and a nail gun. Using the right tools will take a fraction of the time! What you're "plugging into" is nothing less than the infinite Power of the Divine Source. This Power is just waiting to elevate your consciousness and bring you Home to the Divine. So use it whenever you can. Plus, if you're interested in working magick, these practices will all greatly increase your magickal capability! WITCH TIP: You can find practices especially beneficial to Wiccan spirituality here. Spiritual exercises exist to help you create and polish yourself as a container for the Divine forces that every Witch calls upon. They develop the 4 qualities of the Sacred Chalice. So there are 4 areas of development . . . Please note that none of these are completely separate from the others. Just as your body-mind-heart-soul is one integrated awareness, manifested in different forms, these spiritual power tools develop all aspects at once. You can't do any of them without a body, or without a mind. All engage the heart. All are involved with speech - verbal or internal. However, they can be categorized in terms of the form that is primarily involved in their development. The physical spiritual exercises create a strong, grounded physical container for the increased Energy levels that come with spiritual development or working magick. Physical development is necessary to spiritual progression - like upgrading hardware to handle the increased voltage of Divine Energy moving through the body. The mind's Spiritual Power Tools create self-knowledge, spiritual insight (intuition), and greater ability to manifest your desires. Journaling and self-reflection. "With my pen, I excavate the Goddess within me." These practices heal the flaws in awareness that consensus reality creates in us, making it possible to attain more clarity of perception. Spiritual exercises for the Heart aim to purify emotions into refined divine feelings. Along with selfless service, these practices also create a life of fulfillment, satisfaction, and great joy! This creates an inner resilience, and ability to accept Divine Will. Spiritual application of Speech meld the other 3 aspects into conscious invocation and channeling of the Divine into the world. This is the outward, active result of purified body, mind, and heart. 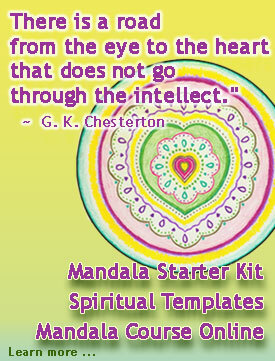 These spiritual power tools engage all the aspects of the Self: body, mind, heart, and speech. Thus they are among the most powerful spiritual practices you could do. These spiritual exercises immensely refine your vibrational frequency, bringing about instant upliftment. Not only that, they balance and harmonize all levels of your being. Doing these practices will change your life, and faster than you might think possible! The rest of the Spiritual Practices section explore these various Spiritual Power Tools: how to do them, and how they can benefit you. Click on the arrow below, to go to the first Spiritual Power Tool in the toolkit.